Warner/Chappell Music has appointed Carlos Ruiz Díaz as Managing Director, Warner/Chappell Music Mexico. Díaz reports to Gustavo Menendez, President, Warner/Chappell Music, Latin America. Having joined Warner Music Mexico in 1991, and subsequently spending time at global entertainment companies affiliated with Universal Music, AOL Time Warner, and Univision, Díaz brings over twenty-five years of experience to his new role. Díaz comes to Warner/Chappell from EMMACSACM, the Mexican one-stop agency for digital music copyright licensing, where he had served as Managing Director since 2013. Díaz’s role saw him leading all negotiation, signing, and administration of licenses across services such as Apple, Google and Spotify, working closely with the Mexican Collecting Society (SACM) and the Mexican Music Publishers Association (EMMAC). Prior, Díaz served as VP and General Manager of Disa Records, part of Universal Music Group, and also as Director of Finance and Operations at Univision Music Group Mexico. He spent a brief stint working as a consultant at Warner Music Brazil and was Managing Director of Peerless-MCM, a WMG company. He also spent several years at AOL Time Warner-owned Metro Casa Musical. Sony Music Entertainment has announced Sol Rashidi as Executive Vice President and Chief Data Officer. The newly-created role will see Rashidi tasked with building and leading a global team focused on further advancing Sony Music’s data strategy and capabilities globally while developing business intelligence and technology solutions for use across the company’s labels and business units. This encompasses building and overseeing predictive tools and analytics platforms to build on Sony Music’s capabilities in artist and partner solutions, commercial strategy, marketing and A&R. Rashidi is based in New York while reporting to Dennis Kooker, President, Global Digital Business and U.S. Sales. Rashidi comes to Sony Music from Royal Caribbean Cruise Lines, Ltd., where she had served as Chief Data and Cognitive Officer. During her tenure with Royal Caribbean, she focused on growing the company’s data focus and leveraging the latest advancements in data science, machine learning, artificial intelligence, bots, and cognitive services to enhance the customer experience. Prior, she was a Partner in the Data & Analytics practice at Ernst & Young LLP, and also spent more than seven years with IBM, where she was a part of the first generation of leaders taking WATSON to market. Rashidi currently holds seven patents in the information management space. For the first time ever, consumers have the ability to easily share Songbytes (byte-sized music clips) via texts, Tweets, Snaps and other social posts thanks to a new app called Gifnote. Gifnote gives consumers the option to include Songbytes from their favorite artists and songs instantly with any GIF, photo or video. Gifnote is available on the iOS App Store, as an API, and at gifnote.com. Gifnote marks the first consumer application from parent company, Audiobyte. Gifnote marks a simple and effective means for the music industry to be integrated into the 15 Billion pieces of byte-sized content shared daily across text and social. The platform is working directly with music labels, publishers, artist managers, artists and back-end reporting platforms, to ensure compliance and thought leadership in this new arena. Gifnote's ease of access allows use through mobile or desktop, and via integrations for Slack and iOS keyboard. The app was recently named Apple’s “App of the Day,” and Gifnote already counts partnerships with Universal Music Group, Sony Music Entertainment and Warner Music Group. Veteran marketing and business development music exec, Theda Sandiford, has been promoted to Sr. VP of International Commerce & Digital Marketing at Universal Music Group’s Republic Records, Island Records and Def Jam Recordings. Sandiford’s new role has her leading global consumer marketing and commercial strategies to expand the opportunities for the label’s artists, engaging their fans and attracting new audiences through a range of experiences. Sandiford remains based in New York and reports to Michael Alexander, EVP of International Marketing at Republic, Island and Def Jam. Sandiford previously served as VP of Commercial Partnerships, Streaming at Universal Music Group. She came to the company in 1999 as a Single Sales Director before quickly moving into Island Def Jam Group’s New Media department. Sandiford joined Rush Communications in 2005 to launch Def Jam’s mobile phone content service and ran her own consultancy for eight years. She re-joined Universal Music in 2012 as VP of Digital Marketing at Republic Records and, starting in 2014, served as VP of Commerce at Republic and Island. Pulse Music Group’s Jason Bernard is parting ways with the company to set-up a new entertainment venture. Having served as COO and Head of Pulse’s management division, Bernard's next steps will see him looking after a number of his current songwriter/producer and mixer management clients such as Tim Pagnotta, Tommy English, Tony Maserati and Adam Hawkins. Bernard will continue his role with Pulse through the end of the year and maintain his shareholder status in Pulse’s publishing division. Primary Wave Music Publishing has announced a new partnership with Tom Hamilton, the co-founding member, songwriter and bassist for the iconic Grammy Award-winning rock band, Aerosmith. The agreement encompasses some of Hamilton's biggest hits for Aerosmith including "Sweet Emotion" and "Janie's Got A Gun." Released via Columbia Records in April 1975, "Sweet Emotion" was the first single off the band's Toys in the Attic album and marked their first Top 40 hit, selling more than three million digital downloads. "Janie's Got A Gun" was released as the second single from their album Pump and went to No.4 on Billboard's Hot 100. Formed in 1971, Aerosmith has become one of the best-selling American rock bands of all time with more than 150 million records sold worldwide, including 70 million in the U.S. alone. The Rock and Roll Hall of Fame inductees count 25 Gold albums, 18 Platinum albums, and 12 multi-platinum albums making them the record holder for the most total RIAA certifications by an American band. Pandora has named Christine Colbert as Sr. Manager, Industry Relations - Indie for the company. The newly-created position supports the increasing importance of independent artists and labels across the industry. Colbert will be based in New York and report to Marisa Fair, Director, Industry Relations, who has been the point of contact for independent releases at Pandora. Colbert comes to Pandora from Warp Records, where she was North American Project and Communications Manager, working with acts such as Brian Eno, Aphex Twin, Boards of Canada, Battles, !! !, Hudson Mohawke, Grizzly Bear and Nightmares on Wax. Prior to Warp, she worked at the indie PR outfit Girlie Action having started her music business career in 2006 at Magnum PR in New York. In other Pandora news, the company revealed its third-quarter financials last week with increases to total revenue of 16% to $417.6 million and close to 800,000 new paid subscribers over the three-month period ending in September. The growth in revenue is comprised of year-over-year increases of 49% to subscriptions and 6% to ad revenue, reaching $125.8 million and $292.9 million respectively. Ad RPM also marked a record high at $77.83, an increase of 11% over last year. The quarter saw Pandora’s GAAP net loss decreasing to $63.7 million from 66.2 million the same time last year with adjusted EBITDA also dropping to $3.9 million from $5.3 million. Despite increases to paid subscribers, Pandora’s overall user numbers saw a drop to 68.8 million from 71.4 million over the previous quarter and from 73.7 million for Q3 of 2017. Glassnote Records has signed Icelandic singer/songwriter Júníus Meyvant for North and South America, Australia, New Zealand and Japan. Meyvant’s upcoming full-length, Across The Borders, will be released by Glassnote next year with indie label Record Records to release the album for the rest of the world. Record Records had signed Meyvant in 2016 ahead of his debut. Meyvant has also secured representation from WME’s Michael Coughlin and Buster Phillips for U.S. bookings, as well as UTA’s Oliver Ward for the ROW. Across the Borders was self-produced and written by Meyvant, with engineering and mixing by Guðmundur Kristinn Jónsson (Ásgeir, Erlend Oye, Hjálmar). 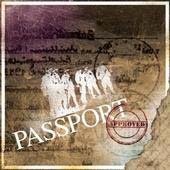 Meyvant received very early global airplay support from the widely-recognized syndicated radio program, Passport Approved. Concord Music Group has revealed two senior appointments to its global sales and marketing team in Rebecca Berman and Michael Nance. Berman had served as VP of International and is now promoted to Sr. VP/Co-Head of International with Nance joining Concord to lead the department with her. Berman and Nance, who had previously spent time together at Warner Bros. Records, will work across Concord Records, Fantasy Recordings, Fearless Records, Loma Vista Recordings and Rounder Records. Jowcol Music has expanded a deal in the U.S. with Words & Music, a division of Big Deal Music Group, to cover mechanical licensing alongside YouTube collection and non-exclusive sync services agreements with the indie publisher. Jowcol Music Inc. was established more than 50 years ago by John Coltrane and controls the compositions by John and Alice Coltrane with a catalog that still remains relevant today. In 2018 Impulse! Records released Both Directions at Once: The Lost Album from 1963. The recently found reels from the session quickly became the highest charting album of John Coltrane's career. 2017 saw the release of Alice Coltrane's World Spirituality Classics 1: The Ecstatic Music of Alice Coltrane Turiyasangitananda via Luaka Bop, and in September 2018 Real Gone Music released Alice Coltrane Spiritual Eternal: The Complete Warner Bros. Studio Recordings featuring all three of Alice's 1970s Warner Bros. Records albums. Impulse! is also set to release 1963: New Directions, featuring material from Coltrane's over that year from the albums Both Directions, John Coltrane and Johnny Hartman, Dear Old Stockholm, Newport '63 and Live at Birdland. Additional major releases and other milestones for both John and Alice's music are expected into 2019.
peermusic has finalized an exclusive global co-publishing agreement with Mala Rodriguez, it was announced last week. The Spanish singer/songwriter’s career began in the late ‘90s as one of Spain’s leading female rappers. She became the first female to garner a Latin Grammy in the Best Urban Song category with “No Pidas Perdon” in 2010 and Best Urban Album with Bruja in 2013. Her 2018 comeback includes collaborations with Juan Magan, Beatriz Luengo and Stylo G.
Apple Music has revealed that CD Baby, The Orchard and Kontor New Media are included as part of their Apple Preferred Distribution Program. The announcement follows a similar move by Spotify last month with the streamer rolling out its own list of preferred partners which also counted CD Baby and The Orchard alongside Emu-Bands, FUGA and Distrokid, the latter of which is working with Spotify for the development of its direct upload offering. For the first time ever, the Super Bowl Halftime performance will be prepped with a music festival to take place over the three nights leading into Super Bowl Llll in Atlanta. Bud Light, along with hospitality partner On Location Experiences, will bring the Bud Light Super Bowl Music Festival to the city’s State Farm Arena with confirmed acts already including Ludacris, Migos, Lil Yachty, Lil Baby, Metro Boomin, Aerosmith, Bruno Mars and Cardi B as well as a DJ set by Lil Jon. The event will also feature appearances from a number of celebrities and athletes. Eventbrite has rolled out Eventbrite Music to cater to the independent music venue, promoter and festival communities. The announcement comes over a year after Eventbrite purchased Ticketfly from Pandora for $200 million. Eventbrite Music launches over Eventbrite’s existing platform and incorporates Ticketfly’s capability into one app with Ticketfly set to phase out in 2019. The new platform builds on the marketing and distribution offering including over 50 distribution partner sites such as YouTube, Spotify, Pandora and Songkick. It also streamlines the purchasing experience for both consumers and organizers through the ability to embed checkouts into websites or make use of purchase points positioned through platforms such as Instagram and Bandsintown, even offering fans using the Facebook mobile app the ability to find and purchase tickets directly through the app. With a mobile-first approach, Eventbrite Music offers a robust portfolio of tools for smartphone users including data and analytics, customizable permissions and reporting and guest list editing while bypassing the need for desktop computers or separate scanners. As it seeks to gain ground in the smart speaker arena, Spotify revealed last week that its free offering may soon become available via all connected speakers. An official press release shared that Spotify’s commercial partner, SDK, now allows hardware partners to present the Spotify Free and Spotify Premium offerings on their devices. Spotify’s official website shows Spotify Connect’s availability is currently compatible with more than 300 products over 80 hardware brands with some devices requiring a Premium account. Moving forward, any connected hardware partner can now use eSDK 3 to bring Spotify Free to Spotify Connected-enabled devices. In other Spotify news, the service is offering up a new tool to publishers providing them with deeper insights into their catalog and writers’ performance via Spotify Publishing Analytics, currently launched in beta. Spotify Publishing Analytics bills itself as the first offering of its kind for music publishers and counts the likes of Reservoir and BMG making use of the new data. YouTube has revealed payouts of more than $1.8 billion in ad revenue to the music industry in the period from October of last year to September 2018. Additionally, Google’s recent “How Google Fights Piracy” report also claimed that the company has paid out more than $6 billion in ad revenue to the music business with around half of that total from the monetization of music found to be used in videos through its Content ID system. The report also shared that Content ID took care of 98% of YouTube copyright claims in 2017 with over 90% of those resulting in monetization. 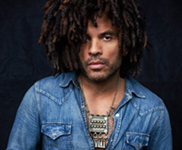 Lenny Kravitz has made his way back to CAA following only ten months with UTA where he had been represented by UTA’s Chairman Jim Berkus. Prior to moving to UTA, Kravitz had spent 10 years with CAA, counting major film roles in Precious, The Butler as well as The Hunger Games and The Hunger Games: Catching Fire. As a recording artist, he’s released 11 studio albums that have generated over 40 million sales globally as well as a standing record for the most “Best Male Rock Vocal Performance” Grammy wins. He recently wrapped a worldwide tour that covered European arena/stadium dates as well as stops in Mexico and a North American leg that was booked by UTA. Big Machine Music has finalized an exclusive co-publishing agreement with country singer/songwriter, Brandy Clark. Additionally, Big Machine announced the launch of a music publishing JV with Clark’s All BC Music. Clark’s work has garnered her six Grammy nominations, including for Best Country Song as a co-writer on Miranda Lambert’s “Mama’s Broken Heart.” Her songwriting credits also include works for Sheryl Crow, The Band Perry, Kacey Musgraves and others. Following an almost eight-year stint, Moya Nkruma has announced she has parted ways with ASCAP from her role as Director of the Urban department in the PRO’s LA offices. She transitions to Fender Musical Instruments where she will serve as Urban Artist Marketing Manager based in the company’s Hollywood office. Nkruma will be tasked with driving cooperations between urban talent and the Fender brand while implementing strategic marketing initiatives across the urban music space. On-air personality and leading country music industry figure, Bobby Bones, has been tapped by American Idol as its official in-house mentor for the 2018-2019 season. Bones’ participation builds on his history with the show having worked with last year’s final 24 contestants in prepping their duet performances with celebrity partners. 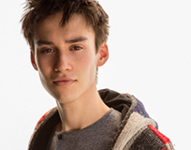 Decca and Geffen have partnered for the first time as they prepare to release the full-length Djesse from Grammy-winner Jacob Collier alongside Collier’s label Hajanga Records. Collier grabbed two Grammy wins last year for Best Arrangement, Instrumental or A Cappella for his arrangements of “Flintstones” and “You & I” which both saw release on his debut album In My Room in 2016. As it seeks to continue its support of up-and-coming country music artists, CMT has rolled out a year-long mentorship program for emerging talent. Under its extended Artist Discovery program, CMT will welcome 12 unsigned country artists to its Nashville studio to record demos with leading producers over the course of one year. Following the recording process, artists will also work with industry mentors including advisors such as Liz Rose (Grammy-winning songwriter), Amanda Cates (Maverick Management), Tracy Gershon (A&R Consultant), Jensen Sussman (Sweet Talk Publicity), Cameo Carlson (mtheory Nashville), and Daniel Miller (Fusion Artist Music). The first recording session will see emerging female act Parker McKay working with producer Alex Kline (Reba McEntire, Terri Clark, Tara Thompson). CMT’s Artist Discovery initiative already counts success stories with the likes of Luke Combs, Old Dominion, Jillian Jacqueline, Chris Lane, Mitchell Tenpenny, Alyssa Bonagura, Drew Baldridge and Tenille Arts. Leading UK live agents Tom Taaffe and Anna Brewers have parted ways with UTA as they head to CODA. Both had been part of The Agency Group (TAG) team that came to UTA when it acquired TAG in 2015. At the same time, a number of internal promotions at CODA have been revealed with Andy Clayton and Ryan Penty upped to agents to commence in January. At the same time, Partner Alex Hardee sees Holly Rowland and Eleanor Ashley promoted to bookers for his team with the elevations of Clayton and Penty. Rebecca Bates also transitions from assistant to booker for Mike Malak. U.K. act Foals have finalized a worldwide deal with Transgressive Publishing and Warner/Chappell Music encompassing the band’s catalog and future works. The band are currently at work on their fifth full-length scheduled for release next year. Liberty Media, the parent company for assets including SiriusXM Radio, the Atlanta Braves baseball team and the Formula One racing circuit revealed an increase in third quarter financials. Earnings and operating income both increased to $168 million and $531 million respectively with SiriusXM increasing its operating profit by 11% over last year to $466 million. Third quarter revenue reached $2.3 billion an increase from where it was a year ago at just under $2.1 billion. Liberty Media’s CEO Greg Maffei also revealed during an analyst call that SiriusXM will not boost its investment into iHeartMedia at this time following its proposed deal earlier in the year to put $1.16 billion into iHeart. iHeartMedia passed on the cash injection in lieu of a 40% stake. Enter Records, the JV label set up between Universal Music and ESL, have revealed their first signing as electronic artist TheFatRat. Enter Records was launched to focus on the gaming community and its creatives. TheFatRat first release with Enter Records, The Chosen One, is expected soon. The German Songwriting Awards (GSA), Europe’s first competition focusing on the skills of songwriters/producers, will return with more categories, new partnerships and prizes. This year’s jury will include successful songwriters, artists and leading industry A&R minds including Sat Bisla (President & Founder, A&R Worldwide & MUSEXPO); Max Paproth (Sr, Director A&R Central Europe, Universal Music); Mona Rübsamen (Founder & CEO, FluxFM/Flux Music), Jens-Markus Wegener (General Manager, Meisel Music), Natascha Augustin (Sr. Creative Director, Warner/Chappell) and others. Among the prizes for selected artists are included studio time to work on and record the songs with a professional production team with GSA-songs to distribute worldwide and provide professional radio and online promotional support as well as a number of prizes from partners including Avid, GEWA, Yamaha, Sennheiser, Genelec and I’m Sound. One day before the GSA-Award Show, taking place on December 11th, the third annual SongsCon, Europe’s largest convention focused on songwriters and producers will take place. The multi-faceted program includes songwriting and composing workshops, A&R pitches, one-on-one sessions, business and publishing panels, masterclasses, talent stage with direct feedback from A&R’s, celebrity Q&A‘s and music industry exhibitors. For more information, and to submit songs, visit www.germansongwritingawards.com. The International Confederation of Societies of Authors and Composers (CISAC), has revealed an increase in music publishing collections of 6% to $9.4 billion in 2017. The organization, which collects data from 239 collection management organizations across 121 countries, shared that revenue from channel, television and radio royalties was the largest contributor to the total in 2017 at $3.81 billion which marks a 3.3% increase over 2016. Concerts and background music saw growth of 3.2% to $2.853 billion. Despite not experiencing the significant growth that the recorded music industry sees for digital, music publishing still saw an increase of 23.1% in the sector to $1.414 billion. For CISAC’s full Global Collections Report, click HERE. ole has finalized a worldwide 360 deal with Nashville singer/songwriter Scott Stevens to its red dot label. The deal covers exclusive publishing and recording rights, as well as administration of all YouTube properties with all releases to come via the red dot imprint. Stevens’ current single, “Sounds Like Us,” has garnered more than 620,000 streams on Spotify. He is managed by Pete Hartung, Neil Vance and Jenn Tressler from L3 Entertainment. Stevens is set to release a series of singles throughout the remainder of 2018 and into 2019. In other ole news, the company has entered into a joint publishing arrangement with Lee Brice’s Pump House Anthem to sign songwriter, Brian Davis. Originally from North Carolina, now Nashville-based, Davis’ first deal in the music industry was offered to him by iconic songwriter Harlan Howard, who Davis counts as the biggest influence on his songwriting. Davis has toured and written with Brantley Gilbert, including the No.1 hit “One Hell of An Amen,” co-written with Brantley and Mike Dekle. Additionally, ole has concluded an exclusive worldwide deal with SB21 Music Publishing to acquire a 50% ownership stake in SB21’s catalog of more than 2,500 songs, taking over control of all songwriter contracts and all administration rights to the catalog. Among SB21’s catalog is included Luke Bryan’s most recent No.1 single, “Most People are Good,” as well as works by Brian White, David Frasier, Greg Barnhill, Thomas Tillman and John Edwards. After more than five years with leading German booking agency Konzertbüro Schoneberg, Björn Bauch tells A&R Worldwide he has joined the German team for Live Nation. Bauch will be based in Live Nation’s Berlin offices. The Canadian Musical Reproduction Rights Agency, Ltd. (CMRRA) has announced a leadership transition as Caroline Rioux parts ways with the organization as President in 2019, remaining onboard as a strategic adviser. Prior to being appointed President in 2013, Rioux served the organization for over 20 years in a number of roles. As a strategic adviser, she will continue to play a key role in the company's operations and support a successful leadership transition with the search for her successor currently underway. At the same time, CMRRA's VP of Legal and Business Affairs, Veronica Syrtash has been promoted to Sr. VP Business Affairs and Corporate Development. In her new role, Syrtash will oversee all external facing functions including publisher relations, licensee relations, corporate legal affairs, enforcement, as well as all rate-setting negotiations and tariff proceedings. Native Tongue has signed Memphis-born artist Van Duren. Duren's timeless debut album, Are You Serious?, features a band that counted school friends Jody Stephens and Chris Bell (both former members of Big Star) and Mike Brignardello (Glen Campbell, Amy Grant, Neil Diamond). Bad luck, poor decisions, con-men, lost love, greed, religion and health issues lead to Duren's second album, Idiot Optimism (recorded in 1978), which was only first released in 2000, in Japan. Van Duren’s story is set to be revealed in the documentary, Waiting: The Van Duren Story which saw its sold-out global premiere at the Indie Memphis Film Festival earlier this month and received a standing ovation. An encore screening took place in Memphis last week, with a new screening announced at Sound Unseen Festival in Minneapolis on Saturday, November 17th. The documentary went on to win the audience voted award for Best Film at the Indie Memphis Film Festival. Taiwan’s National Kaohsiung Center for the Arts has opened its doors as the largest performing arts center in the world. Composed of a 1,981-capacity concert hall, a 2,236-capacity opera house, a playhouse and recital hall as well as an outdoor amphitheater, the complex covers 8.2 acres and took more than eight years and $350 million to build. The concert hall also houses Asia’s biggest pipe organ which was built by a German manufacture and counts 9,085 pipes. The center was designed by Dutch architecture firm, Mecanoo. 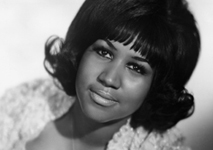 Over 46 years since it was initially shot, Aretha Franklin’s Amazing Grace concert film will finally see its release. Set to premiere this evening at the DOC NYC film festival with full backing from Franklin’s estate, the bulk of the film was shot by Sydney Pollack at Franklin’s New Temple Missionary Baptist Church performance in LA’s Watts neighborhood in 1972. The film’s double live album was released in 1972 but the film itself has had a long road to release marked with legal battles. The fall release of an Oscar-qualifying version is expected this year with a broader theatrical release for next year with distribution still being secured. Nashville-based entertainment law firm, Milom Horsnell Crow Kelley, has brought on two new Partners in attorneys Matthew Beckett and Molly Shehan. The firm counts long-time clients Alabama, Ricky Skaggs, Rascal Flatts and Luke Bryan, in addition to representing Keith Urban, Kelsea Ballerini, Brett Eldredge, Emmylou Harris, Hank Williams Jr., and the Country Music Hall of Fame and Museum. IN THE SPOTLIGHT: Dallas Martin, Wendy Goldstein, Stephen Sessa, Ron Fair, Adam Clough, Sam Riback, Tara Piper, Kyle Hopkins, Jim Chancellor, Lisa Worden, Jeff Smith, Michael Dixon, Patrik Larsson, Folkert Koopmans and Kevin Weaver. 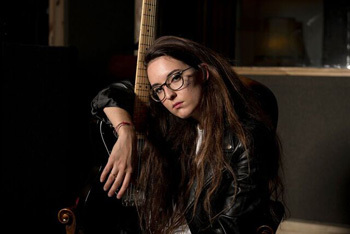 Two years ago, Veronica Fusaro released her self-produced EP Lost In Thought and surprised the Swiss music industry by winning the Demo of the Year at the M4Music Festival. She was then awarded 'Best Talent' by the national radio station SRF3 and nominated for a Swiss Music Award in 2017. The following summer, Veronica presented her music at a number of festivals and performed at international conferences, including MUSEXPO Los Angeles and the Reeperbahn Festival in Hamburg. Her sophomore EP Ice Cold was released earlier this year featuring the single “Better If I Go,” which gave Veronica the opportunity to perform at the Winter Olympics in Pyeong Chang and recent showcases including The Great Escape in Brighton and Music Matters in Singapore. Veronica is currently on tour now through the beginning of 2019 with stops in Australia, Thailand, China and Switzerland. Veronica recently released her new single “Venom,” which is a confident and gripping soundtrack to a story of poison and spite. Listen HERE to “Venom” and contact Stefan Schurter at stefan@ddmusic.ch for signing, licensing, booking, synch and publishing opportunities. Brothers Oli and Louis Leimbach are known as the Sydney-based duo Lime Cordiale. Five years ago the siblings signed with Chugg Music, home of multi-Platinum outfit Sheppard, The Griswolds, Avalanche City and Hey Geronimo, led by legendary Australian promoter Michael Chugg and made their first U.S. debut at MUSEXPO in Los Angeles. Lime Cordiale released their Falling Up The Stairs EP in the states in 2014, featuring the standout single “Sleeping At Your Door,” which was accompanied by a showcase at SXSW that year. Their set drew undeniable praise from a number of tastemakers, including CMJ, Buzznet and more. Fast forward to 2017 as the brothers reached No.1 on the AIR Australian Independent Album Charts with their debut album, Permanent Vacation, which also climbed to No.15 on the ARIA Australian Album Charts. While the new album was out, Australian radio wasn’t embracing the band like their fellow musicians but then something incredible happened—word of mouth. As fans began to spread the word about the band, their streams and followers soon doubled and ticket sales continued to increase. Just last month, Lime Cordiale added more than 358,000 listeners on Spotify, with monthly streams reaching nearly 1.6 million. With the release of their new single “Dirt Cheap” and their 26-date Dirt Cheap Tour of Australia and New Zealand going through the top of December, the brothers Leimbach are setting up for a brilliant 2019. 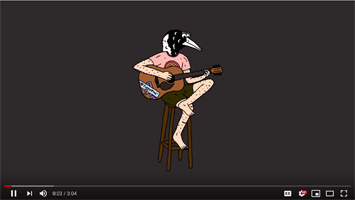 Watch the video for “Dirt Cheap” HERE and contact Andrew Stone at andrew@chuggentertainment.com as Lime Cordiale is available for touring, synch and branding opportunities. “PASSPORT APPROVED” PLAYLIST FOR Sunday, November 11th, 2018: The weekly import show. Heard on over 70 radio stations on six continents weekly including: The World Famous KROQ 106.7FM Los Angeles, Radio Doble Nueve, Lima, Peru; KNRK-FM Portland OR; KNDD “The End” Seattle WA; KCJK-FM “Alternative x1051” Kansas City MO: MMM Modern Digital Australia in Sydney, Brisbane, Melbourne, Adelaide; WLKK “Alternative Buffalo” NY 107.7FM; WZRH-FM New Orleans; KHTB Salt Lake City, UT; KBZT-FM 94.9FM San Diego CA; KKDO “94.7FM” Sacramento CA; KWSS “93.9FM” Phoenix AZ; KRML “102.1FM” Carmel CA, KFRR “New Rock 104.1FM” Fresno CA; KMAX Windsor/Ft. Collins, Colorado; WCNR Charlottesville, VA; KIWR “The River” Council Bluffs, IA; 2XM Ireland (national radio); WAPS-FM “The Summit.FM” Akron-Canton, OH; WKTL-FM Youngstown, 105.5FM XFM Nairobi, Kenya; KVNV-FM Reno NV; PUK-FM Johannesburg, South Africa; East Radio-FM Shanghai, China; KAFA “97.7FM” Colorado Springs, CO; KVNV “NV89” Reno, NV; KSKI-FM, Sun Valley/Twin Falls, ID; WITH “90.1FM” Ithaca, New York; UCFM 87.8FM Australian Capital Territory, Australia, Triple M Digital Network (Australia), WRUR 88.5FM Rochester New York; WCRU-FM Hamilton, NY and on The Independent FM (iHeart Radio) in the United States and many others. Also, on the worldwide web and twice weekly segment on Flux FM Germany (Berlin, Brandenburg and Stuttgart) and Allgauhit-FM Bavaria Germany as well as streaming on one of the world’s fastest growing streaming platforms, Saavn. 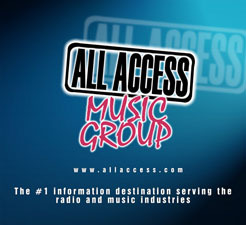 (Check out the Passport Approved Radio “Featured Artists” on the daily profile exclusively on AllAccess.com including Shayna Leigh, Broken Hands, Tara Lee, BLOW and Sean and the Sinners).